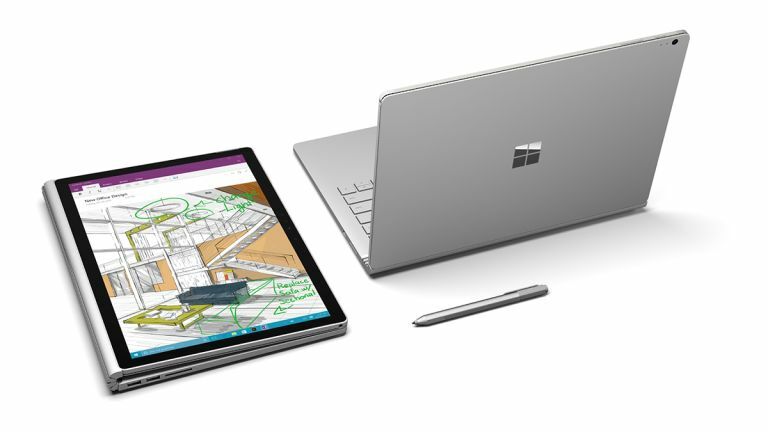 Is Microsoft’s new Surface the most powerful ultraportable ever made? Microsoft claimed that the Surface Book is the “ultimate laptop” when it was first unveiled, and indeed the latest news on this nifty ultraportable underlines the power under its hood, not to mention the device's flexibility. You may recall that Redmond said the Surface Book is twice as fast as a MacBook Pro – but according to PC World's benchmarking, it's actually even quicker than this in terms of pixel shifting. PC World pitted a MacBook Pro 13-inch 2015 with a Core i5 processor boasting Iris 6100 graphics against a Core i5 Surface Book clipboard (tablet) section plugged into a base unit from a different machine with the discrete Nvidia graphics chip on-board(the reason for this was the different Surface Book had a Core i7 CPU, so in itself wasn't a fair comparison to directly benchmark against the MacBook). More about those swapping shenanigans in a moment, but as for the benchmarks, Microsoft's laptop ran Tomb Raider (1400 x 900 resolution, normal quality) at 74 fps, whereas the MacBook only managed 24 fps. In other words, the Surface Book was actually three times as fast when it came to running a game. With an artificial gaming benchmark, namely Heaven 4.0 (1366 x 768 resolution, medium quality with 2xAA), Microsoft's machine managed 39 fps, with Apple's laptop lagging behind on 18 fps. With the CPU tests, such as CineBench and Geek Bench, things were pretty much even, but the gaming performance is clearly and impressively tilted in Microsoft's favour, with that discrete GPU making a big difference. Moving on, another remarkable feature of the Surface Book is the swapping shenanigans we referred to earlier. Users can simply swap the clipboard section with a different base unit and it works seamlessly. As the GPU is in the base unit, if you want to upgrade your Surface Book it's just a simple matter of swapping in a new base. Microsoft confirmed this fact to The Next Web, and said that even with the entry-level Core i5 Surface Book with integrated graphics, you can switch to a high-end base with a much more powerful discrete GPU. And of course, PC World's testing also confirmed this swapping procedure works just fine.